Not only does it look great, wait till you dig in.. Tastes even better! 1.) Wash and dry mushrooms and onions. 2.) Peel Onions. 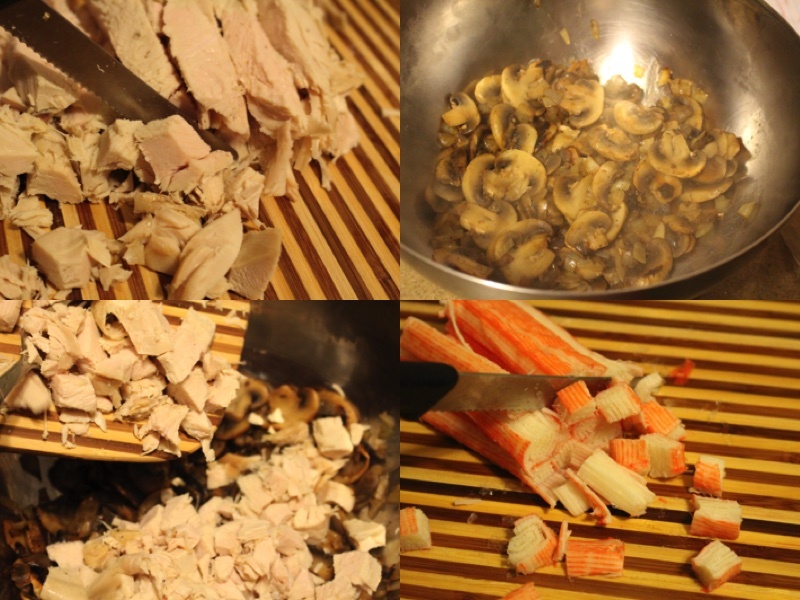 Slice mushrooms into thin pieces. Chop onions into cubes. 4.) Place into a skillet that has hot olive olive oil. 5.) Add onions to the skillet. 6.) Cover the pot and fry for 7 minutes. Let it sit so it cools. 7.) Add to a mixing bowl. 8.) Divide chicken into small cubes. Put in the bowl. 9.) Do the same thing with crab sticks. 10.) 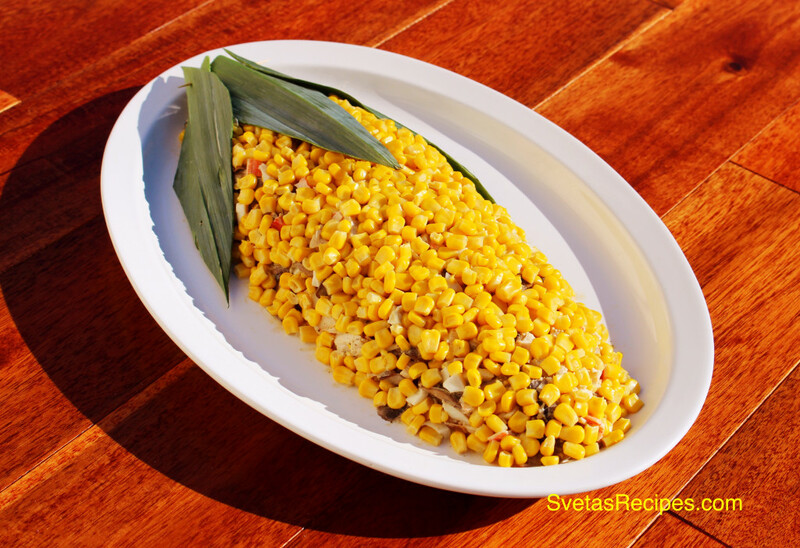 Add corn to the bowl, chop eggs and also put in the bowl. 11.) Pour mayonnaise over the salad. 12.) Mix salad ingredients well, Place in serving bowl and decorate well. 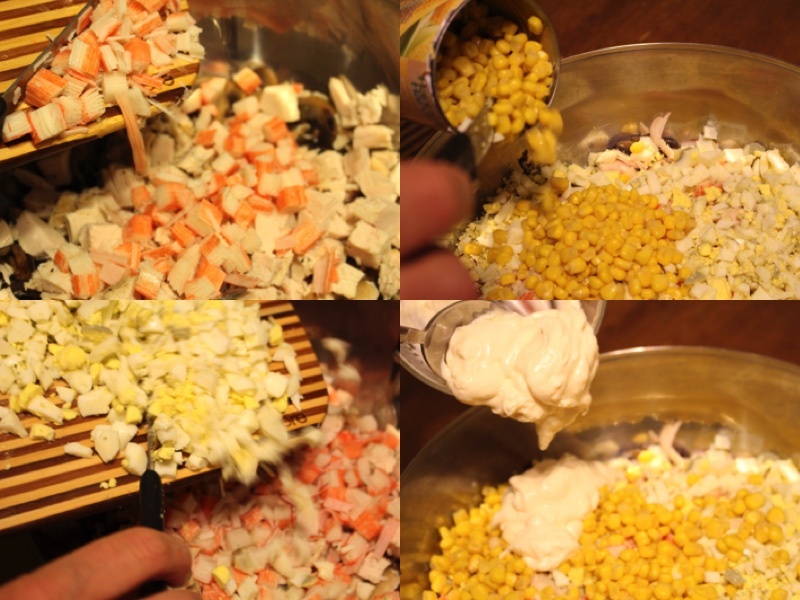 This is my family favorite salad to have during the holidays, Its a great salad to have occasionally. Wash and dry mushrooms and onions. Peel Onions. 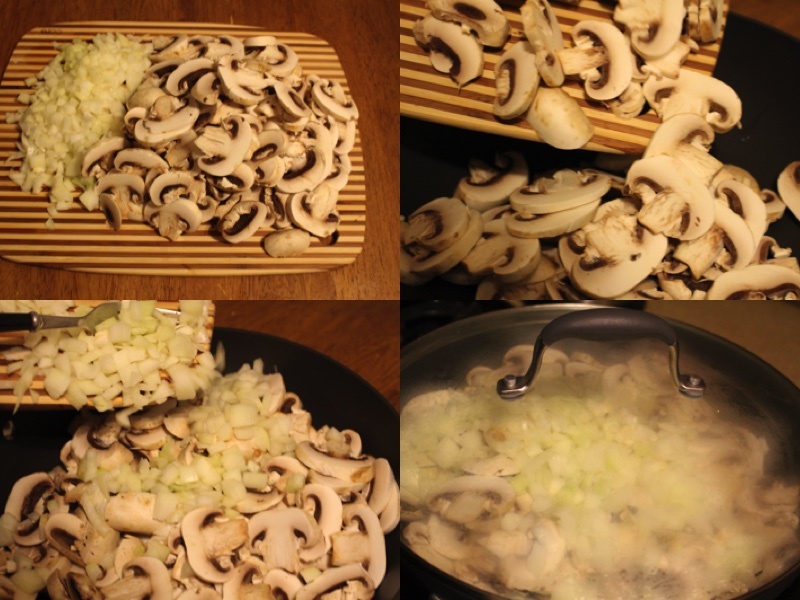 Slice mushrooms into thin pieces. Chop onions into cubes. Place into a skillet that has hot olive olive oil. Add onions to the skillet. Cover the pot and fry for 7 minutes. Let it sit so it cools. 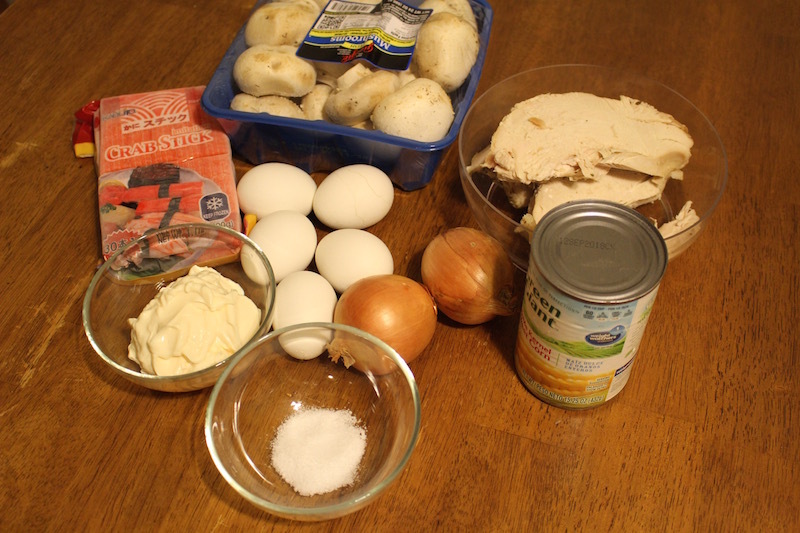 Divide chicken into small cubes. Put in the bowl. Do the same thing with crab sticks. 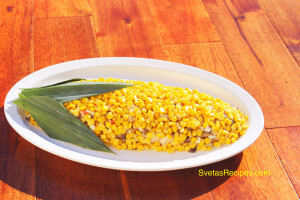 Add corn to the bowl, chop eggs and also put in the bowl. Pour mayonnaise over the salad. Mix salad ingredients well, Place in serving bowl and decorate well. Очень понравилась идея украшения салата… спасибо! Thank you, I’m glad u like it.